Oh, I love this weeks theme over at Glitter n Sparkle - Pearls and swirls. I used "Pearls n leather" from Stitchy stamps. and I dotted on all those little teeny swirls...freehand! Liquid pearls were used to fill the pearl necklace, which gave a lovely effect. and backed it all on some paper I got, in a paper pack, in 'The Works'. A few pearls here and there around the edge, finished this card. Gorgeous card, it’s beautifully done! 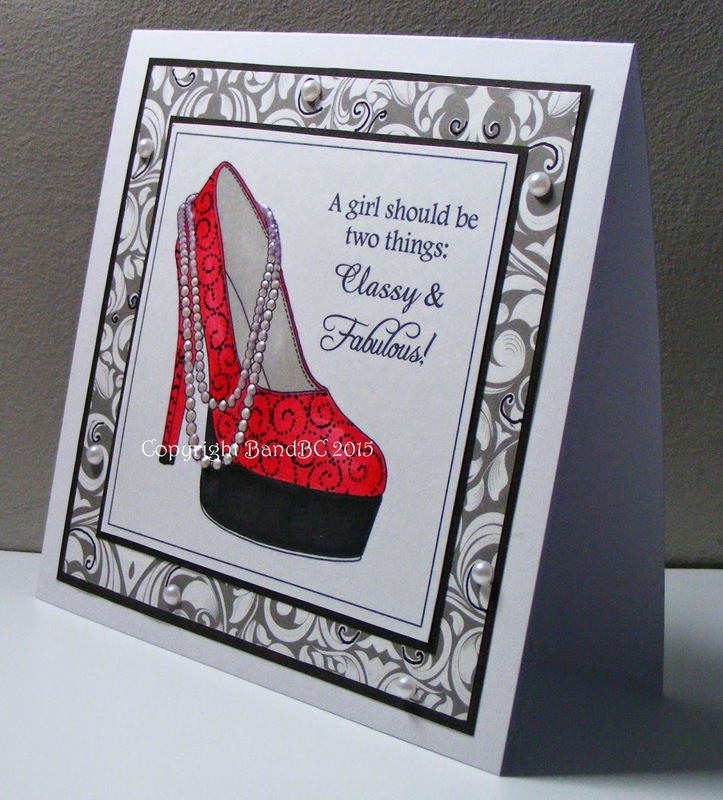 Thanks for joining our Color Red Challenge this week at Eureka Stamps. what a great card ...love the image. Love how you added the swirls to the shoe.